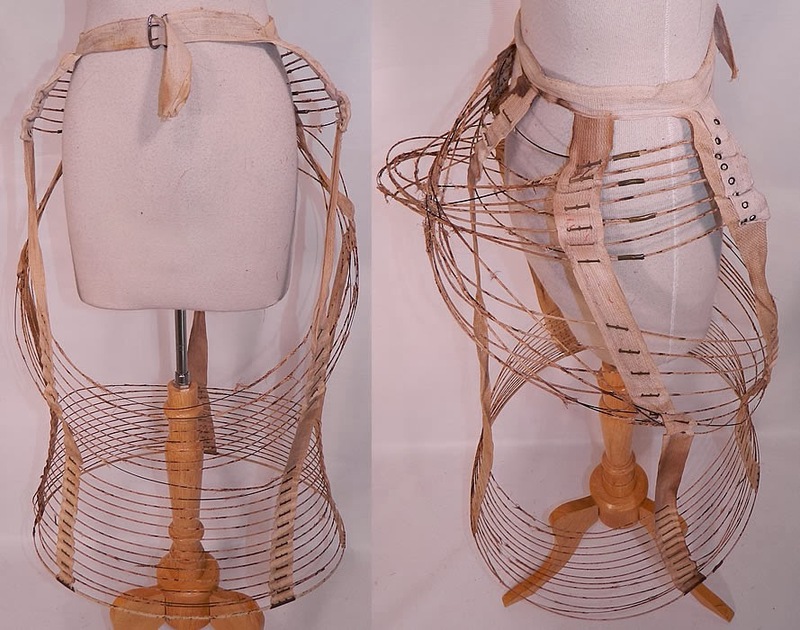 This antique Victorian era atomic style crinoline wire hoop cage bustle back petticoat under skirt dates from the 1880s. 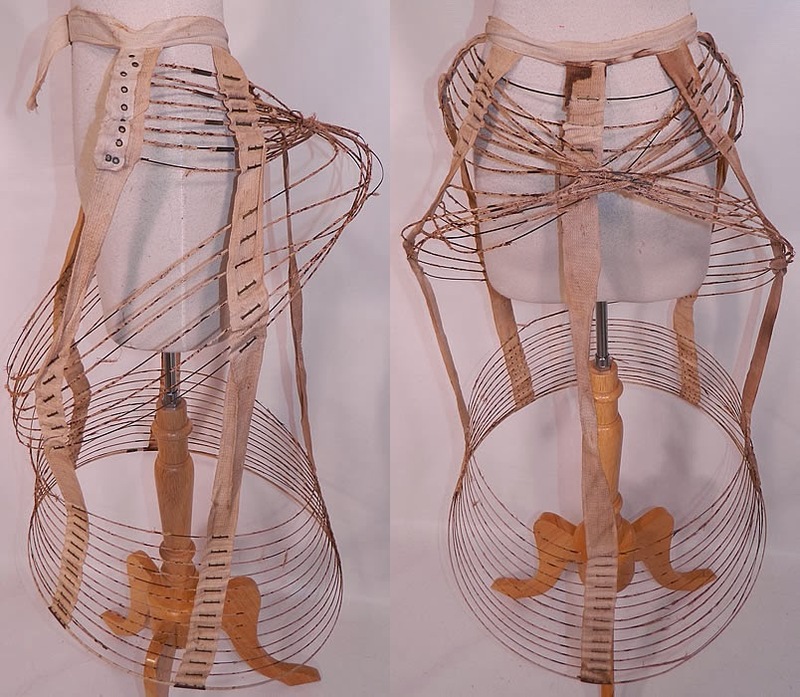 It is made of wired crinoline hoops wrapped with a linen cloth fabric. The wire hoops have a unique criss-crossing atomic space age style creating an atom design, with a flared hoop bell shape bottom and extended bustle back. This rare bustle petticoat would have been worn underneath a full skirt for an extended bustle back shape. There is a linen waistband, which has an adjustable buckle strap closure on the front. 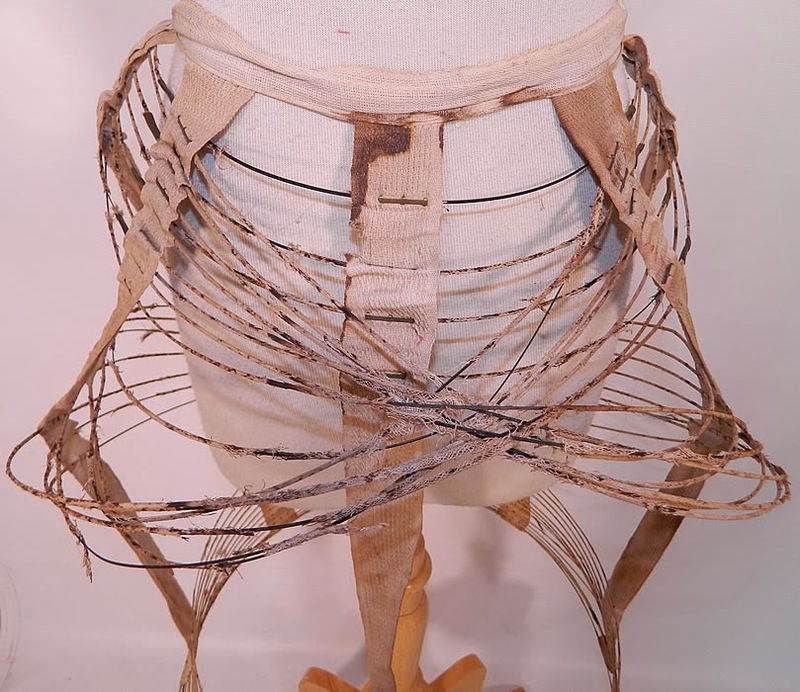 The bustle cage measures 31 inches long, 60 inch bottom circumference and a 27 inch waistband. It is in as-is fair condition, with some wear, missing, rust stained linen fabric on the wire bands and a twisted wire back (see close-up). This is still a rare find and wonderful piece of wearable Victoriana art! This was worn right as the second bustle was starting to come in. The first time I saw hoops like these, I thought they'd been tangled and ruined. They looked like they couldn't hold up a layer of muslin! They do look very tangled! You got to wonder why they designed them that way - there are many more easy ways to get the same silhouette!